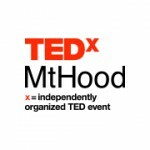 TEDxMtHood is delighted to announce a surprise new addition to our lineup… Portland, Inc. creators Pippin Beard and Kristen Kingsbury will join us on June 18! 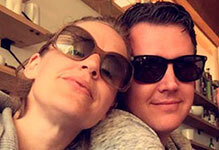 Pippin and Kristen started developing the film through interviewing a dear friend, Bing Sheldon, that had been instrumental in the city’s planning in the 1970’s, and spurring their passion for the subject. The couple have been interviewing city planners, activists, artisans, architects and even street icons like the Unipiper for over two years and just wrapped production. TEDxMtHood is excited to have these two join our onstage host for a conversation about the film and our great city. We’ll also get to see exclusive clips from the film which is slated to debut in November of this year.